However they play a big part here on TheJournal.ie, helping to make the site what it is. Every day somewhere between 1,500 and 2,000 comments are left on the site, shaping the discussion and kickstarting some lively debates (and despite what some commenters might believe, only a tiny number ever have to be deleted…). I would do the exact same thing in that situation and I would imagine every father in the world would too. I wish him every success, well done! Aside from the Aussies, what about the responsibility that should be taken by the ragtops who sensationalised the story beyond recognition. The same sites are now feasting on the poor girls death. Makes me sick to my stomach. May she rest in peace. What an absolute terrible tragedy. Thoughts and prayers with these poor girls parents, god love them all. Email “The 10 most popular comments on TheJournal.ie in 2012”. 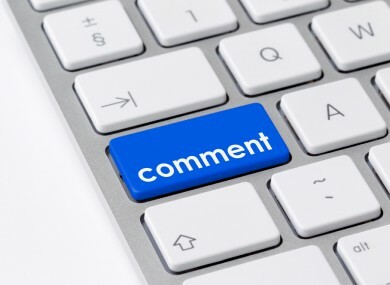 Feedback on “The 10 most popular comments on TheJournal.ie in 2012”.